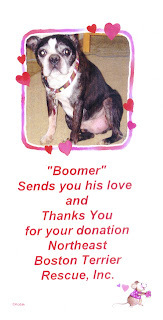 Boomer would like to thank everyone for their generosity toward his care! This is a Hug Certificate!! Watch the Boston Terrier judging at the Westminster Kennel Club here.